Sevenoaks and Audio T call off merger, Manchester Show cancelled | What Hi-Fi? 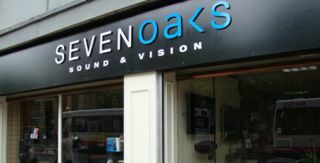 Surprise news of the day is that Sevenoaks Sound & Vision and Audio T have called off their merger. The two retail chains had agreed to merge in 2010 to create the UK's largest network of independent specialist hi-fi and AV retailers. The two companies had already completed the second phase of the merger in which 15 former Audio T stores were re-branded under the Sevenoaks Sound & Vision name. These will revert to the Audio T name by the end of this month. Some former Audio T branches have already been closed down as part of the restructuring process during the merger. We also understand that this year's Manchester Home Entertainment Show, run in conjunction with Audio T, has been cancelled too. "I’m sorry to have to tell you that SS&V has decided, jointly with Audio T, that a merger of our businesses will not be possible in the medium term. Consequently, we will sever our existing joint arrangements. "Sevenoaks’ branded Audio T stores will return to life as Audio T by the end of this month, while for the original Sevenoaks stores it will be business as usual. "Moving forward both Sevenoaks and Audio T will work together to ensure continuity of service for any customers that could have purchased from either style of outlet. "As one door closes, others open. We have just completed a move in to our new head office and warehouse facility in Kent, and will focus all our efforts on our expansion plans. In fact we expect to be making further announcements, very soon, with details of new SS&V stores in areas where we currently have no coverage. "In summary, I’m glad to say that we have come to an amicable decision with Audio T and of course wish all the team there success with their own operation. Our goal now is to develop our successful model further and continue to offer real value and choice to our customers nationally." Audio T owner Jerry Lewin adds: "Carrying on with the merger turned out to be difficult in the current economic climate, especially since the Euro crisis kicked in. That completely decimated the market and we had to pull back. "But I want to assure our customers that Audio T is back in business. We need to reconnect with our enthusiast audience and will be more upmarket and specialist than Sevenoaks." Around 17 stores wil revert to the Audio T name. As for the decision to kill off the Manchester Show, Lewin explains: "With the closure of some stores in the north, we simply don't have the resources to do it. It would have been pretty much impossible. The show only had one more year to run at the Renaissance Hotel anyway, and then they're going to knock it down."